One Wednesday morning, we asked four quick questions to Dr. Devendra Vartak, an acclaimed orthopaedic surgeon from Pune. He agreed to give us 20 minutes of his valuable time meant for his daughter who had a school holiday – a priceless gesture from a man whose time is at a premium. We asked him about his work and how he goes about it, and he spoke about his expertise briefly, which are hip and knee surgery, joint replacement surgery, fixing fractures of the hip and knee, and revision hip and knee surgeries. He also sounded enthusiastic about his newly set up operation theatre at Ameya Clinic in Erandwane. What was the most difficult case you have come across? Dr.Vartak: A 20-year old boy from Aurangabad, who was suffering from ankylosing spondylitis, visited me some time ago. Ankylosing spondylitis is a type of arthritis that affects the spine. He was bed-ridden for three years and his body was immobile. His spinal bones had fused together resulting in a rigid spine. The X-ray reports showed that his hips stood at 90 degrees on account of this condition. After the diagnosis, I decided to operate him. A poly-hip replacement surgery was the only hope. His bones had become so fragile that I had to perform the surgery with a feather touch. We also gave him a shot of a hormone that strengthens bones and today, he is functional. He can move with the help of a walking stick. The great thing is, he does not need a wheelchair and has a relatively normal life. Any other case you recall that was difficult to deal with? Dr. Vartak: Another lady, who is 35 years old, was diagnosed with Guillain Barre Syndrome, a nervous system disorder that causes weakness in the muscles, loss of reflexes and numbness in the arms and legs. She was on a ventilator as she had breathing issues. Also, she had nerve blocks which had caused ‘foot drop’ – an abnormality caused by the paralysis of muscles of the lower leg. This case was tricky because I didn’t want any artificial fixtures. The only direction I could consider taking was to transfer a tendon to her affected leg muscle through a foot-drop gait surgery. This isn’t something that you get to see everyday and there were some risks involved. However, it worked wonders and my patient has been recovering through various post-surgery physiotherapy sessions. That is commendable. I cannot imagine anybody going through such muscular conditions. So, how do we take care of our bones and joints without having to take supplements? Dr.Vartak: Good question. We live sedentary lives these days and hardly make time to exercise. I’ll give you a quick checklist of things to do and not do. Take stairs, ditch the elevators. Don’t sit at one spot for long, keep moving. Keep your bones and muscles mobile. Because, life is movement, movement is life. Stretch as much as possible. Monitor your posture, use cushions when the neck is under stress. If you work on a computer, it should be positioned at the eye level and your elbows should be supported. Ergonomics are important. Thanks, doc. I’m sure most of our readers need these basic tips to protect their bones and joints. On a candid note, what are you doing when you aren’t working? Dr.Vartak: (smiles) I like to trek and spend time with my family. I like to chat with like-minded people and hang out with friends in my free time. 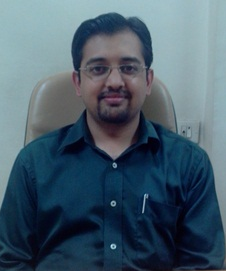 Dr. Devendra Vartak is an MBBS, MS, DNB. He has been practicing in Pune since 2007. He has a state-of-the-art operating room with laminar flow and in-house physiotherapy department at his clinic in Erandwane. Wonderful points most people wrote in this article… Great items… I think you have made some genuinely interesting elements. Keep the good do the job. locating іt but, I’d like tο send you an email. Heya i’m foг the first time here. I founԁ this board and I to find It really helpful & it helped me out much.